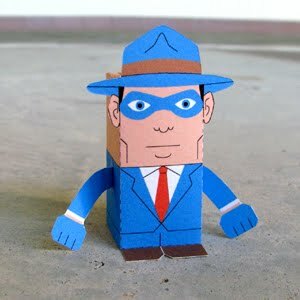 This paper toy is based on the comic / film “The Spirit” by Will Eisner. This papercraft is designed by Toy a Day. The Spirit is a 2008 American superhero noir film, written and directed by Frank Miller and starring Gabriel Macht, Eva Mendes, Sarah Paulson, Dan Lauria, Paz Vega, Jaime King, Scarlett Johansson, and Samuel L. Jackson. The film is based on the newspaper comic strip The Spirit by Will Eisner. OddLot and Lionsgate produced the film.